The six-person tea service consists of a teapot, a sugar bowl, a creamer and six teacups with saucers. All the items have been made to Netrebko's designs. The Russian soprano has designed her own tea service, named after Verdi’s opera ‘Aida.’ The collection will be released in two different versions, Limited Edition and Exclusive Limited Edition. 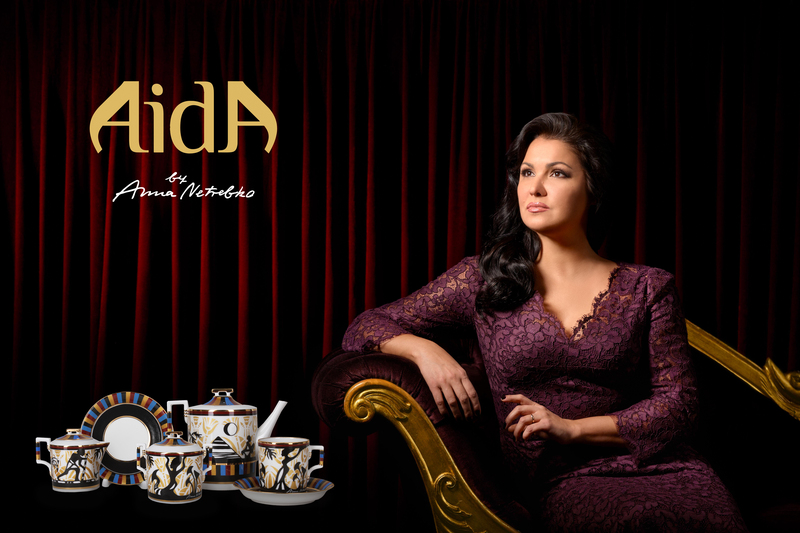 Opera diva Anna Netrebko, together with the St. Petersburg-based Imperial Porcelain Factory, has created a tea service called "Aida," after Verdi's opera of the same name. The collection is aimed to commemorate Netrebko's first appearance in Aida, scheduled to take place at the Salzburg Festival in summer 2017. The world premiere of the limited porcelain collection will take place in Vienna (Austria) in December 2016. "It is a great honor for me to release my own collection together with the Imperial Porcelain Factory. For several centuries already, its masters have been creating real works of art that continue to delight people," the factory's press service quoted Netrebko as saying. The "Aida" service will be released in two versions: Limited Edition and Exclusive Limited Edition. The Limited Edition series will consist of 1,500 tea services performed in the decalcomania technique with details added manually, while the Exclusive Limited Edition will consist of just 50 services, with each item painted by hand. Both series have the same design, with only the background being different. In the Limited Edition, the background is of golden hues, while in the second version, the background is a whole palette of colors from cobalt blue to sand.